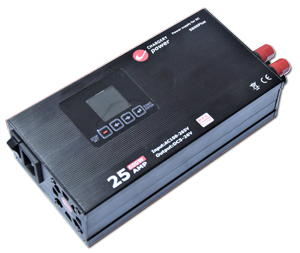 As same as S1500, S600PLUS still features High efficiency and Smaller size, Active PFC make the lower input current, save energy and more reliable. High PF improve the energy consumption from main power grid evidently. S600PLUS is programming digital power supply with Active PFC and output 26V 25A 600W maximal at 100~265VAC, the power supply reached up to 91% at 60% of load and AC220V, ultra low power consumption make sure its internal temperature under 85℃ and realize components' performance. 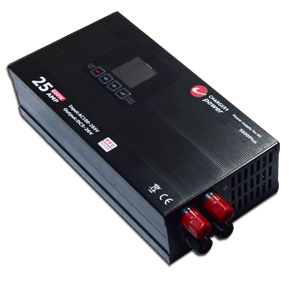 Active PFC and Synchronous Rectification assure S600PLUS's high performance and reliability. 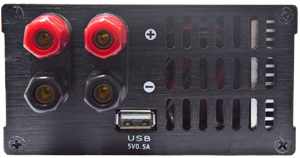 AC 100~265V input, no matter where you are, S600PLUS can work perfectly. 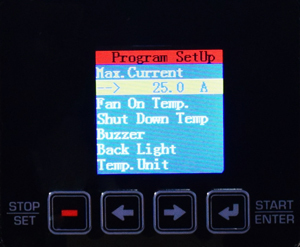 it is also equipped with both US / Japan and Europe AC plugs, world wide use need not any alternative switcher. 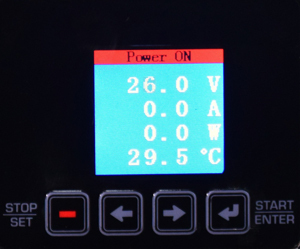 Adjustable output voltage from 5.0V-26.0V is convenient for most of applications. 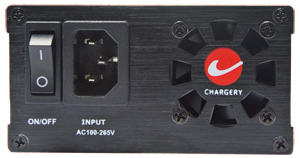 Connect to any DC charger which is supposed to be powered by DC 10V~30V, the S600PLUS will provide up to 25Amps 600 Watts maximal. Efficiency: 91% at 60% load and 220V. S600PLUS is fully committed to compliance with the European Union’s RoHS directive.